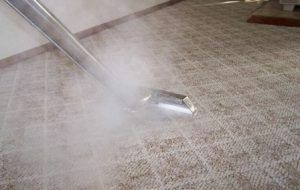 If you feel tired from cleaning and carpet cleaning, in particular, you surely wish to know if there are alternatives. Of course there are. Our company The Top Carpet Cleaning is one such alternative to a cleaning chore that takes quite a lot of effort and time. To some, our carpet cleaning service is an alternative, but we like to call it a necessity. Vacuuming a carpet often enough does little in terms of deeply ingrained spoils and allergens. What you need is a specialised approach, which guarantees 100% sanitised carpets. We specialise in providing the best carpet cleaning in Kingston and surrounding areas. What is the best part of our service? Among the most notable benefit of hiring our professional carpet cleaning service is that you no longer need to worry about the ingrained spoils in your carpet. A vacuum cleaner doesn’t remove them, so you best ensure you get the carpets professionally cleaned at least twice a year. You cannot imagine how refreshed they will be and how wonderful you will feel upon entering the room then. 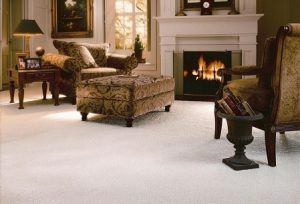 Apart from hygiene, our services ensure that the looks of your carpet are preserved. You know that the beautiful appearance of a carpet is reduced over time. After a nice steam cleaning session by The Top Carpet Cleaning, this will no longer be the case. Call 020 3322 8944 to hear out more about our carpet cleaning in Kingston and how you can benefit from it. Our company is really easy to get in touch with. You just need to contact us on 020 3322 8944 and we will navigate you through the hiring process. You can also find extra details about our services. While you are at it, you can also ask for a free quote. That way you will know just how affordable our service is and plan accordingly. We are certain that you will love our work and our professional attitude. So we urge you to make that call now and see just how beneficial our carpet cleaning service really is. In the past, Kingston upon Thames was an ancient market town, where coronations of Saxon kings took place. Nowadays, this is the administrative centre of the Royal Borough of Kingston upon Thames and also a bustling major metropolitan centre, as indicated in the London Plan. The central part of the area provides predominantly retail solutions, with some civic and retail buildings. The ancient market, on which the town is based, still takes place in the Market Place. It now offers visitors a collection of exotic and local foods, jewellery, flowers, fish and other goods. The main open space of the area is the River Thames, with a lovely selection of restaurants and bars. Visitors can also take a walk through Cranbury Gardens headed to Teddington Lock. Our cleaning company offers efficient carpet cleaning in Kingston, which is definitely worth the price. See it for yourself and schedule a cleaning by simply calling 020 3322 8944.